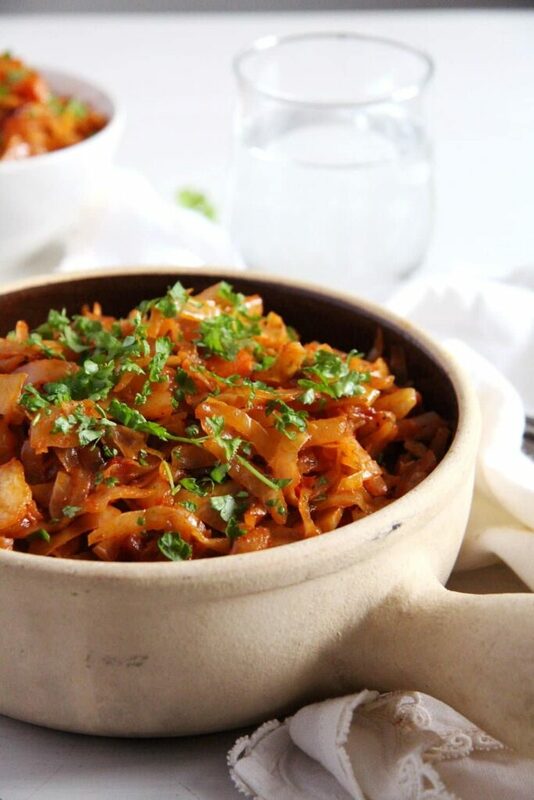 Simple Stewed Cabbage – Varza Calita, a typical vegan or fasting dish eaten in Romania all through the year. When it comes to this dish, I really don’t understand my children. 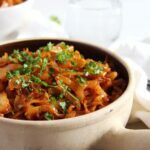 This Simple Stewed Cabbage – Romanian Vegan Recipe used to be one of my favorite dishes as a child, a pot full of vegetables that I could just not get enough of. 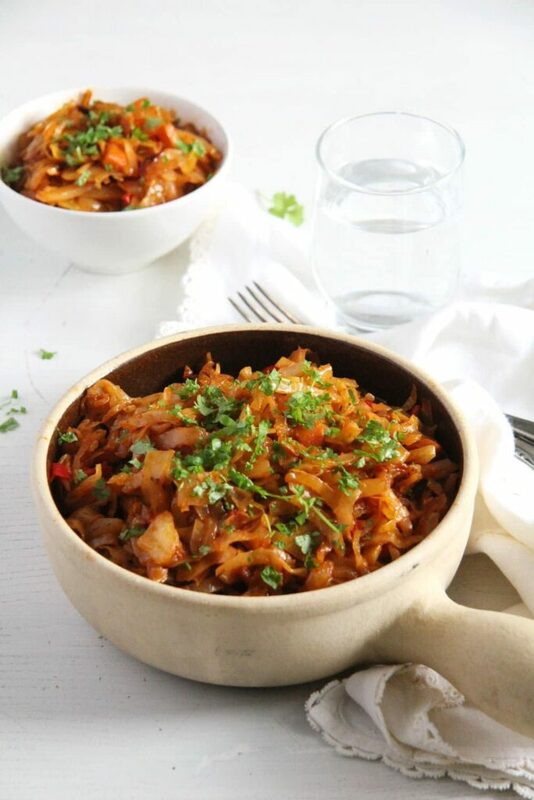 I was not a big eater as a small child and like all kids I was not particularly fond of vegetable stews, but my grandmother could always be sure that I would eat well every time she cooked anything including cabbage. I just loved it and I still love it nowadays, it is definitely one of my favorite veggies. Well, not my kids, only the word cabbage puts them in a defensive mode… And I really don’t get it… I mean – broccoli – I might understand that, it does taste slightly bitter and kids apparently can taste bitterness much more than adults do, but cabbage is sweet and cooked this way, as a stew, it develops even more mellowness and sweetness. Every Romanian person out there knows this dish in and out, I am sure of that, it is one of those staples of Romanian cooking. I never got the recipe from my grandmother because this is so easy, I used to think that there is nothing wrong you could do with it. And there isn’t really, the recipe is not an exact science, but it did take me quite a few tries to get exactly the taste and consistency I was used to from my grandma’s house. 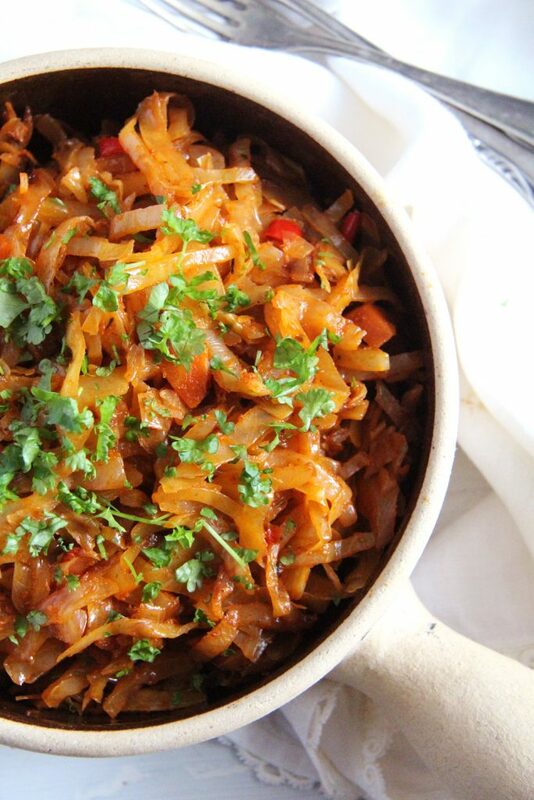 Not only her cabbage tasted so sweet and comforting, it was that softness and the caramelization that I missed, the slightly burned pieces of cabbage at the bottom of the pot, which are giving the dish a whole new dimension. But I did manage to get it right in the end and this is the exact stewed cabbage my grandmother used to make and although I like change in the kitchen when it comes to this recipe and a few more like the Semolina Dumpling Soup or the Romanian Pea and Chicken Stew I tolerate no change. They just have to taste like that! And just as a proof of how much I love cabbage and how often I cook it, you might want to have a look at some of the following recipes. 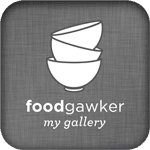 First of all, one of my most cooked German cabbage recipes German Red Cabbage Recipe with Apple – Braised Cabbage Side Dish from Masala Herb. 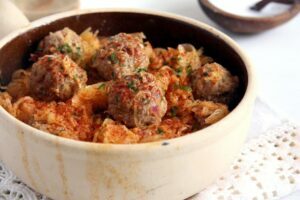 And how about a traditional Polish recipe: Sauerkraut Stew with Pork and Sausages – Polish Bigoz Recipe. And other meaty cabbage dishes would be this German Savoy Cabbage Soup with Ground Meat and Potatoes or this Pork, Rice and Cabbage Stew – Gipsy Recipe Sah Has Mai. 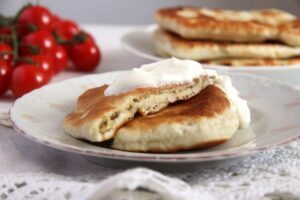 Or here are some more vegetarian cabbage dishes: Easy Cabbage Noodles with Sour Cream and Dill or Vegetarian Cabbage Rolls with Millet, Tomatoes and Feta. Quarter the cabbage and remove the core. Chop the cabbage into small pieces, they don't have to be extremely fine. Set aside. Finely chop the onion. Chop the pepper, carrot and tomato. Heat the oil in a large non stick pan. Cook the onions until translucent. Add the pepper and the carrot and continue cooking for a couple of minutes. Add the tomato, tomato paste, sweet paprika and sugar and stir for about 2 minutes. Start adding the cabbage, as much as it fits in the pot. Add the dried savory as well. Stir well to coat with the rest of the ingredients and let cook for a few minutes until the cabbage wilts down a bit. Add the rest of the cabbage, stir again and add just a little water, about 50 ml/ scant ¼ cup. Stir again, cover very tightly and cook on a medium-low heat for about 30 minutes or until the cabbage is very tender. Stir a few times in between, but do it quickly and cover again immediately to prevent loosing too much steam from the pot. The cabbage should stew in its own liquid and it will not be too bad if it catches slightly at the bottom of the pot (but only slightly). That makes the stewed cabbage even sweeter and tastier. Adjust the taste with salt and pepper. Add 1 to 2 teaspoons red wine vinegar for a fruitier taste. Sprinkle with the chopped parsley and serve. The dish can be easily reheated. It turned out really appetizing. I love the colour and bet it tastes great too. Thanks for the share, Adina. First of all I have to say I absolutely love your new design, it’s simply beautiful! Wow…another idea for cooking cabbage! My kids love them stewed like the way you do it. By the way, just want to let you know that I haven’t been receiving your email updates for a while, I’m not sure what’s going on. But loving your new layout! Adina, it looks fabulous. I can understand why you thought it was easy…. this is what I’m thinking now but I know that such recipes are very tricky and easy to spoil by an unexperienced cook. I’m still very tempted to try it! Love flavorful vegetarian dishes. This looks simply fantastic! — and its is low carb. 😉 Congrats on the new blog design. So beautiful! Hey dear…Thanks for sharing this Traditional Romanian Dish…This dish looks pretty similar to our Indian Cuisine except one or two ingredients..
Nine comments, all from the same week in March! Did anyone actually try this recipe? If so, how about a follow up?